The quote I can only offer advice, Not solutions does not have any particular author, trust me I’ve looked. It is so common sense in all cultures today, that no one can trace it back to it’s origin. It’s mentioned indirectly throughout the holy texts, from accent Hebrew to modern cults. It’s something that people find encouraging and peaceful. I my opinion, the quote implies that people often forget that when they have a problem, and ask for help, that the only thing they can get is Advice and not a Solution. Their mind is so set on finding a solution to their problem, and be done with it as quick as possible, that They try to transfer it to someone else. 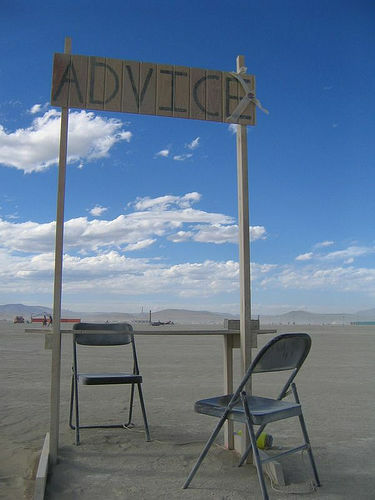 But no one and none of the holy texts suggest any absolute solution, only Advice.